Climate change has been making life on Pemba Island, part of the Zanzibar Archipelago, more and more precarious. 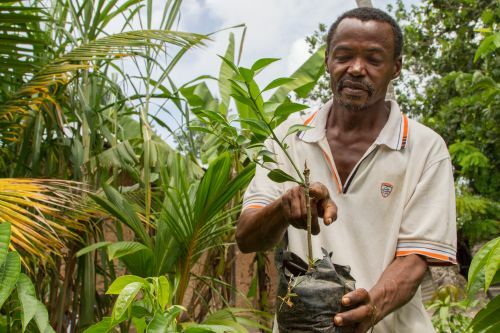 Community Forests Pemba has been innovating ways of living and working that combat poverty and inequality while also increasing resilience. All its activities are designed to regenerate the natural systems that people rely on. Inspired by both permaculture and agroforestry, CFP has created The Spice Forest. The polyculture approach of this project combines natural forest restoration with climate-smart spice farming and provides an important stream of income for the community. The forest is run by a farmer-owned co-operative established by CFP. They have planted over two million trees; converted over 150 hectares of degraded land; and trained over 10,000 rural farmers and women in regenerative livelihoods. They also run a Rural Innovation Campus dedicated to regenerative solutions to climate change, where people from around the world come to learn from grassroots leaders in Pemba.